The "real reasons" for the cabinet's decision...? So it appears that there was a pretty brief discussion of the attorney general's advice that the Iraq war would be legal, when he presented the cabinet with a single-page opinion to that effect just three days before the invasion. 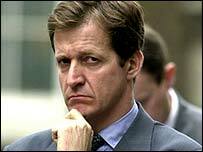 But what was the cabinet told before Lord Goldsmith made up his mind? This week, the information tribunal has been hearing the government's appeal against an order by Richard Thomas, the information commissioner, to release the minutes of two cabinet meetings, on March 13 and 17 2003. The stakes are very high. 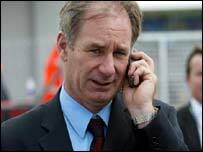 According to cabinet secretary Sir Gus O'Donnell, they include the future of effective cabinet government. O'Donnell appeared before the tribunal on Tuesday to make the government's case that the confidentiality that is necessary for effective cabinet discussion will be irreparably damaged if the papers are released. The commissioner believes that the damage will be very limited and that the public interest in showing what went on at this hugely controversial moment in history outweighs it. There is also the question of whether the current system is as effective as has been made out, which is something the papers could help us with. 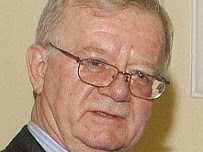 Professor Peter Hennessy, a witness for the commissioner, said that the episode represented a major failure of collective cabinet government. So the content of the minutes could determine not just the value in their release but the strength of the case for maintaining cabinet confidentiality. If collective cabinet government doesn't work, why protect it? Ironically, in a hearing that has largely taken place in closed session, it has been the Cabinet Office counsel, Jonathan Swift, who has given the biggest hints about what the papers show. He has revealed that the commissioner believes that the minutes of March 17 will reveal not just "the absence of sufficient discussion" but the "real reasons" for the cabinet's decision to sign up to Blair's war. There have also been strong suggestions that the meeting on March 13 could be highly significant. This took place while Goldsmith was coming to his definitive view that war would be legal without a further UN resolution. I suspect that at this meeting Blair strung the cabinet along with premature reassurances as to the legal position. A previous decision by Thomas required the government to publish a narrative account of the process that took Goldsmith from his equivocal and very long advice on March 7 to his unequivocal and very short opinion on March 17. For me, this was one of the commissioner's worst freedom-of-information decisions. Rather than requiring the government to publish the paperwork – some of which was admittedly legally privileged – he allowed it to construct its own narrative. Because this was a mixture of documented fact and spin, it is impossible to know what is true and what isn't. The key date happens to be March 13, when Goldsmith is said to have concluded that the war was legal, based on UN security council resolution 1441 and without the further resolution that could not be obtained. According to the narrative, Goldsmith told his legal secretary that he had reached this conclusion, which the legal secretary then recorded. He then met Sally Morgan from Blair's office and Lord Falconer and told them he would give the green light for war. The claim that Goldsmith made up his mind before meeting Morgan and Falconer is a key part of the government's case that he wasn't leaned on. But we only have the government's word for it. Neither the commissioner nor the Cabinet Office have been willing to confirm that this sequence of events is based on documentary evidence rather than spin. I'll be making a new freedom of information act (FOI) request to find this out. It seems likely that when the cabinet met on the morning of March 13, Blair did not know that Goldsmith would sign up to war. Goldsmith did not attend, but there was a discussion about the legality of the war and it looks as if Blair told the cabinet that it would be legal. There is clear evidence that Blair and cabinet allies jumped the gun on the issue. 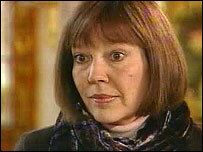 According to Clare Short's memoirs, Blair told her on March 11: "Attorney-General said 1441 enough." 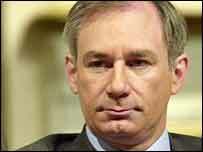 On March 12, defence secretary Geoff Hoon said on the Today programme that war would be legal, based on resolution 1441 alone. When this was put to the prime minister's official spokesman (PMOS), "the PMOS said that Mr Hoon's words were correct". The PMOS speaks with the direct authority of the prime minister so effectively Blair made this claim. So we know that some members of government were claiming prematurely that war would be legal without a further UN resolution and it appears that at least one cabinet minister was told that this was the attorney general's view. The minutes of the meeting on March 13 could tell us whether the cabinet was misled in this way and whether Goldsmith was subsequently bounced into his "decision". If that does turn out to be the case, we might expect less smugness in future about the effective working of cabinet government. Releasing records of the cabinet's Iraq war meetings would do "serious harm" to war planning, says a government lawyer. Cabinet Office counsel Jonathan Swift told a tribunal that minutes from March 2003 should be kept secret or ministers may become "more cautious" in cabinet. But the Information Commissioner argued in favour of the minutes' release. He said they were "highly material" to whether legal advice on the eve of war had been properly considered. A decision is expected in January. Addressing the final day of a three-day Information Tribunal hearing in south London, the Cabinet Office's counsel Jonathan Swift appealed for minutes from cabinet meetings on 13 March and 17 March 2003 not to be disclosed to the public. 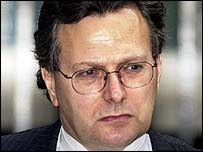 The two meetings were the only two full cabinet discussions on the then Attorney-General Lord Goldsmith's advice that it was legal to go to war in Iraq. The cabinet took the decision to go to war at the 17 March meeting, a day before the parliamentary debate took place and three days before British troops were in action in Iraq. Mr Swift told the hearing that the issue of disclosure was one of "substance" and referred to "knowledge of who said what and who said how much about what on what occasion". He believed more than adequate public scrutiny had been afforded to the issue and outlined the damage he thought disclosure would bring. He said "a general risk of disclosure would do serious harm" to the decision-making process. He argued that if the minutes were published "cabinets are likely to be more cautious how they approach the matter in the cabinet setting" when it came to "war and peace decisions". Information Commissioner Richard Thomas's counsel, Timothy Pitt-Payne, said the minutes were the "most important record" that existed "to understand the deliberative process" behind the discussion of Lord Goldsmith's legal advice. He said the case for releasing the documents in the public interest was "a very strong one," as "cabinet needs to be willing to test and challenge robustly proposals put forward". He suggested the minutes could help answer whether the cabinet challenged the legal papers from the Attorney-General and whether they asked to see a background briefing. He said the question to ask was if there was "a serious failure of cabinet government". Mr Pitt-Payne said the disclosure of the minutes would be "highly material" to helping answer those questions. He outlined what he said were existing threats to free and frank cabinet discussions, such as secret press briefings from colleagues, leaks and memoirs. He said the "curtain of secrecy is permeable" already and that an "objective and comprehensive record" was preferable to "partial and self-serving" accounts. On Tuesday the Cabinet Secretary Sir Gus O'Donnell told the Information Tribunal deputy chair Chris Ryan that he thought the disclosure of the minutes could impede free and frank future discussions. He argued that it would be possible to infer which minister said what, even though no views expressed during discussions are attributed in the minutes, according to Times journalist Sam Coates who was at the hearing. 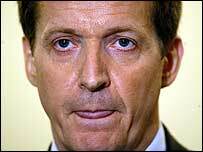 Accounts of the March meetings already exist in at least five memoirs that have been published, including Tony Blair's former communications director Alastair Campbell's account of his time in Downing Street, The Blair Years. Sir Gus, who had the job of vetting Mr Campbell's book, said that he regretted it being published at all and that he had been against its release, especially as Mr Campbell had been a special adviser and not a minister. But he argued rules to stop publication would be tricky to create as it would difficult to come-up with penalties for non-compliance. He said, in the end, it was the author's responsibility. A Tribunal Services spokesperson told the BBC: "We anticipate a decision in January." If the Tribunal rejects the government's case, Ministers can appeal. "Ministers are most unlikely to give in... They could either use a special provision of the Freedom of Information Act to overrule the Tribunal for the first time," according to BBC's Martin Rosenbaum "or they could appeal to the High Court". Should the onward appeal to the High Court fail, the final route of appeal is the House of Lords. 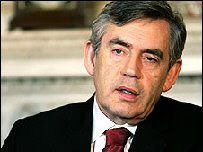 Gordon Brown tonight faces fresh calls for an Iraq inquiry following the emergence of documentary evidence that "proved" there was insufficient cabinet discussions on the legality of going to war. The revelation emerged in a court hearing today when the government was appealing against an order to release the minutes of two cabinet meetings, on March 13 and 17 2003, immediately before the start of the invasion. Jonathan Swift, counsel for the Cabinet Office, revealed that it was part of the commissioner's case that the minutes of March 17 "proved the absence of sufficient discussion". It is already known that at the second meeting, the then attorney general, Lord Goldsmith, gave the cabinet the single-page text of a parliamentary answer declaring that an invasion of Iraq would be legal without a further United Nations security council resolution. 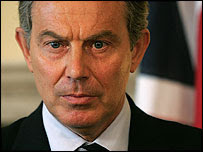 Ten days earlier Goldsmith had given Tony Blair, then prime minister, longer and more equivocal advice, which was not shown to the whole cabinet. 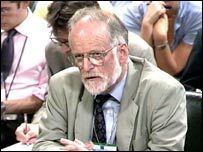 Timothy Pitt-Payne, counsel for Richard Thomas, the information commissioner, said the commissioner was not suggesting that the minutes would answer "one way or another" whether there was sufficient cabinet discussion of Iraq as the issue had been discussed at many previous cabinet meetings. The meeting on March 17 was the cabinet's only opportunity to discuss Lord Goldsmith's advice before the start of the war three days later. Pitt-Payne said that he would discuss the exact contents of the minutes during a closed session, but he added that they were "highly material" to the issue. The revelation appears to back up the claim of Clare Short, former cabinet minister, that she was prevented from questioning Lord Goldsmith on his opinion and whether he had any doubts. 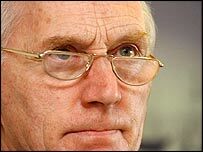 Sir Andrew (now Lord) Turnbull, former cabinet secretary, told a House of Commons committee in March 2005 that ministers "had a chance to ask questions" following an oral presentation from Lord Goldsmith. Last week, Lord Bingham, a former senior law lord, described the invasion of Iraq as "a serious violation of international law and the rule of law". William Hague, shadow foreign secretary, today said: "The more we find out about how Britain went to war in Iraq the stronger the case grows for a proper inquiry into origins and conduct of the war. "There is growing evidence that the decision to go to war was taken in the context of a serious failure of the machinery of government and of cabinet government. The good conduct of Britain's foreign policy requires the urgent restoration of both. "The sooner we learn the lessons of the past the sooner we can apply them. So if this government persist in rejecting the inquiry the next Conservative government will establish one as an early priority." The Liberal Democrat foreign affairs, Ed Davey, said: "This revelation is a damning indictment of Blair, Brown and the whole Labour leadership who sat round that table. 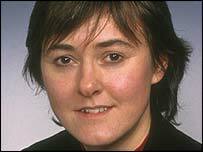 No wonder Clare Short decided to leave the Labour party. "Not to consider fully such a critical piece of legal advice, on the eve of a major war, makes a total mockery of cabinet government. Tony Blair broke the unwritten rules of our constitution, yet nothing has been done by Gordon Brown to prevent this happening again. "The case for a public inquiry has been strengthened yet again, and Gordon Brown should announce one in the Queen's speech." The tribunal concerns the records of cabinet meetings in March 2003, which considered legal advice on the imminent invasion of Iraq. Thomas ruled earlier this year that the formal minutes of these meetings should be revealed. The Cabinet Office is currently appealing to the tribunal. Sir Gus O’Donnell, the head of the Civil Service, will lead the Government’s last-ditch attempt to block the release of minutes of Cabinet meetings in the run-up to the war in Iraq, The Times has learnt. No 10 has been ordered by Richard Thomas, the Information Commissioner, to release copies of Cabinet minutes and records relating to meetings held between March 7 and 17, 2003. Details of the meetings, during which the Attorney-General’s legal advice on the war was discussed, could reveal the positions of individual Cabinet ministers and the strength of internal opposition before the March 20 invasion. The Cabinet Office is fighting the decision because it believes that a vital principle of government is at stake – the right to have private discussions. Ministers argue that releasing the documents could end hundreds of years of confidential Cabinet discussions and undermine collective Cabinet responsibility, where ministers must defend policies in public that they may not agree with in private. Downing Street is taking Mr Thomas’s ruling to the Information Tribunal, the final court of appeal for freedom of information cases, and three days of hearings are due to begin tomorrow. In an unusual move, Sir Gus, who is also the Cabinet Secretary, will make the case personally to underline the concern over the issue inside government. If the Government loses, one of the Cabinet Office ministers could issue a decree under Section 53 of the Freedom of Information Act unilaterally blocking the release of the document. This would be a highly controversial move – the first time the Government has used this power since the FoI Act came into force in 2005. Furthermore, the judgment could still create a precedent, potentially making it easier for others to request Cabinet minutes. Two sets of notes are made during each Cabinet meeting. The first is a general printed account of what happened, circulated to Cabinet members afterwards. The second is a handwritten account by the Cabinet Secretary, which contains full details of the individual positions of participants. It is not known whether the handwritten records could be subject to release. To prevent the disclosure, the Government is relying on two provisions in the freedom of information legislation that should block the release of documents relating to “formulation of government policy” or “ministerial communications”. 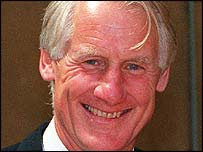 However, when the legislation was drawn up by Jack Straw in 2000, he decided that this ban could be overridden if the public interest arguments were strong enough . The Information Tribunal will have to decide this week whether it agreed with Mr Thomas that “a decision on whether to take military action against another country is so important that accountability for such decision-making is paramount”. It could argue that such a decision would not undermine collective Cabinet responsibility because these were “two specific and unusual sets of Cabinet minutes”. Only 13 FoI requests to Downing Street have been granted and made public on the Cabinet Office website. Are the UK armed forces war criminals? Christopher King argues that if the Iraq war is illegal, then everyone participating in it would be involved in war crimes. He says an enquiry by the International Court of Justice is the only way in which Britain can regain international respect and its government regain trust. Lord Bingham, a former Lord Chief Justice, has said that the legal advice given by the attorney-general to the Blair government was fatally flawed. This is because there was no proof that weapons of mass destruction (WMD) actually existed, nor that Saddam Hussein had failed to comply with the United Nations’s inspection requirements. He said also that Lord Goldsmith, the attorney-general, should have made it clear that it was the secretary-general of the United Nations who would decide whether there had been compliance and whether further action was necessary. If Lord Bingham is correct, Lord Goldsmith shares responsibility for a serious breach of international law – as serious as it is possible to be. Lord Goldsmith’s response to this was, more or less, that this was merely Lord Bingham’ opinion and a lot of other countries went into Iraq with the UK anyway. That does not wash. Lord Bingham is the most senior law figure to have come to this view and it has never been a legal justification to say “everyone else did it”. Lord Bingham is right, of course. You probably already know that Kofi Annan said that the Iraq war was illegal when he was UN secretary-general. Jack Straw, who is a barrister and was foreign secretary, said at the time that UN Security Council Resolution 1441 gave sufficient authority for war. He said it again in response to Lord Bingham’s statement, and Lord Goldsmith based his opinion on it, so let’s take a look at it. It’s actually a simple document. As a summary of UN Security Council Resolution 1441 is this: Iraq continues to be in breach of Security Council resolutions, must re-admit the weapons inspectors (United Nations Monitoring, Verification and Inspection Commission, – UNMOVIC) and the International Atomic Energy Authority (IAEA). It must also make a full statement of its WMD, related documentation and facilities within 30 days. There were to be no omissions. Conditions relating to inspections are listed. UNMOVIC and the IAEA were to report in 60 days (paragraph 12). This is the paragraph that Jack Straw continually says authorized war. Well, I can’t see it. Paragraph 13 relates the “serious consequences” to the report that the Security Council expected to get from the inspectors, so consequences would obviously depend on the report. There’s no authorization of war here or anywhere else in the resolution. Look for yourself. The sequence of UK events leading up to Anthony Blair presenting the case for war to Parliament following Peter (Lord) Goldsmith’s decision are described here. Goldmith consulted the Americans, whose opinion was predictable but evidently no other international law authority. Elizabeth Wimshurst, Deputy Legal Adviser to the Foreign Office, resigned because she disagreed with the advice given by Peter Goldsmith, so the opinion that the Iraq war was illegal is by no means new and had well informed senior legal opinion against the war at the time. In the event, UNMOVIC and the IAEA found no WMD whatsoever and, as Resolution 1441 warned the Iraqis not to conceal anything, they sent something like a lorry load of documents – probably everything they had. President Bush responded that the Iraqis were hiding their WMD and that the large volume of documentation was a trick to delay proceedings. US troops were already stationed in Saudi Arabia; others were being sent to Kuwait and, as subsequently uncovered documentaion reveals, he had already made the decision with Anthony Blair to go to war. Anthony Blair could not send troops or commence preparations because he was maintaining the fiction that he had made no decision. UK Cabinet office minutes show that the intelligence was being arranged around the decision that had already been made. There is good evidence, not simply that the interpretation of UN Resolution 1441 was wrong but that Mr Blair was at the centre of a criminal conspiracy. There was no possibility of the UN approving war against Iraq because the weapons inspectors had found no WMD which was the only basis for Messrs Bush’s and Blair’s case. They had already agreed privately that they were going to go to war but publicly said that Saddam Hussein possessed concealed WMD and war was justified by Resolution 1441. No only does UN resolution 1441 contains no authorization for war against Iraq in itself, but there is specific evidence that it cannot be used for that purpose. Because the UN delegates from other countries knew that the US and UK who sponsored Resolution 1441 wished to use it as justification for war they clarified its interpretation. The representatives of the US, UK, France, Mexico, the Russian Federation, Bulgaria, Syria, Cameroon and China are all on record as saying that there was no justification for force contained in the resolution. John Negroponte, US ambassador to the UN, said that the resolution contained no “hidden triggers” and no “automaticity” with the use of force. The procedure to be followed was laid out in the resolution. Jeremy Greenstock, UK ambassador to the UN, said that if there was a further Iraqi breach of its disarmament obligations, the matter would return to the Security Council for discussion. The Mexican representative said that the use of force was only valid as a last resort, with prior, explicit authorization of the Council. The Republic of Ireland’s representative said that the resolution provided for a clear, sequential process for Iraqi compliance. Developments would be then examined by the Council itself, which had the primary responsibility to decide whatever action needed to be taken. The Bulgarian representative said that the resolution did not provide a pretext for the automatic use of force. The Syrian representative said that his country had voted in favour after having received from the United States and United Kingdom, as well as France and the Russian Federation, reassurances that the resolution would not be used as pretext to strike Iraq and did not constitute a basis for “automaticity”. The resolution should not be interpreted in any way that any entity could use force. The Cameroon representative said that he welcomed the clear statements made by the sponsors of the resolutions (US and UK), spelling out the lack of a trap, trigger or automaticity in the resolution. Read them for yourself at the end of the above linked United Nations document. It is absolutely clear from these statements that the US and UK had resolution 1441 passed by giving verbal assurances, which are doubtless minuted, that this resolution could not be used to justify force or for any automatic use of force. These comments were made by the representatives who were present in agreeing the text and in the discussions about its interpretation. They were made so that resolution 1441 could not be interpreted as authorizing violence. They place beyond doubt that Resolution 1441 specifically contained no authorization for the use of violence, in the event of a breach of the resolution occurring, much less when the UN special Commission (UNSCOM) and the IAEA have not reported a breach. The clarifying statements make clear that, under the agreed procedure, the matter would return to the Security Council for discussion and decision. 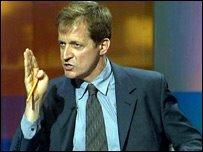 There is no possible justification for Peter Goldsmith’s or Jack Straw’s contentions that Resolution 1441 makes the Iraq war legal. Not only was there no evidence produced by the weapons inspectors that Iraq had WMD, it was found that Iraq did not in fact have them. Saddam Hussein had told the truth. Iraq was innocent of the charges against it. The war of aggression on Iraq, the deaths of more than a million Iraqis, the 4-5 million refugees created and devastation of that country are therefore war crimes. What are the implications of this for the UK? It is difficult to express the enormity, the gravity of the situation in which Peter Goldsmith and Anthony Blair have placed our armed forces and country. All the evidence is that our prime minister sponsored an illegal war, his cabinet and attorney-general supported it, our Parliament approved it and our armed forces carried it out. Except for a minority of MPs, it appears that they are all involved in war crimes of the most extensive and serious kind. Saddam Hussein was hanged for much less. At the time, the armed services were deeply concerned about the legality of the war and on 10 March 2003, the chief of the defence staff, Admiral Sir Michael Boyce, asked the attorney-general for an unambiguous assurance in writing that the war was legal. He received this several days later. The armed services have a problem in these circumstances. They are committed to follow legitimate government orders, but if those orders are illegal, the Nuremburg principles and international law make no allowance for that. The individual officer or soldier must decide. An illegal order involves the chain of command at all levels in appalling problems where concepts of rebellion, mutiny and disobedience to orders might be applied. If, therefore, the Iraq war should be ruled to be illegal, as the former Lord Chief Justice and former UN secretary-general believe to be the case, everyone participating in the war would be involved in war crimes. Peter Goldsmith’s ruling and Parliament’s vote are no defence. In a political context, if the chief of the defence staff were to refuse to follow government orders it would strike at the heart of democracy itself and the stability of the country. In these circumstances, I suggest that his action was correct. He had no opportunity and nor was it his role to evaluate the legal and intelligence information relating to a decision to go to war. Public opposition to the war has sometimes, wrongly, been expressed as discrimination and insult against members of the armed forces in uniform because it is difficult to separate those who have participated, however unwillingly, in this illegal war from those who are responsible for it. It is absolutely wrong to blame the services for our government’s failings and undeniable failings they are. Public confidence in politicians is at an all-time low. From the reports of returned services personnel and statements of senior military staff, it appears that the army has also lost confidence in our government. There have been 176 military deaths in Iraq with, at an estimated 8:1 ratio, about 1,400 wounded, some sustaining permanent disability. It is also essential that the armed services should have confidence in the competence and integrity of the government. There are signs that confidence has been severely shaken firstly by the government’s incompetent evaluation of the difficulty of the task and its failure to plan for the aftermath of the war. That Parliament has not acted to resolve the issue of the war’s legality, that is, the government’s integrity after extensive casualties have been suffered by the armed services is absolutely extraordinary. The evidence is that a core of individuals around Anthony Blair acted dishonestly and with intent to deceive Parliament and the country. Parliament’s failure to investigate this is due to its complicity in voting for the war. The Iraq war is widely regarded to be wrong; the public considers it to be illegal as well. A million citizens marched through London in an unprecedented protest without reference to its legality because it was wrong in principle. It also fails the test of legality that the protesters felt it must. If our government does not respect legality, citizens might justifiably say to themselves, “Why should I respect the law if the government does not?” or “Why not steal a car? It’s not as bad as starting a war.” Lord Goldsmith has fostered contempt for the law in some; contempt for our politicians, lawyers and government in others. Our own security services said at the time that, rather than making the UK more secure, the war would make the country less secure. This proved to be the case with bombing on London’s streets, a community relations disaster and costly security provisions in airports and elsewhere that are still in force and will be for the indefinite future. At an international level, the UK’s and US’s illegal war of aggression is a precedent for any other country to carry out a “pre-emptive war”. It has undermined international law and stability as well as any moral right that the US and UK might have had to criticize other nations for breaches of international law. Nor do subsequent UN resolutions make the invasion legal when they have authorized the forces involved in the invasion to remain and maintain order. If a court orders a thief to make restitution it does not make the crime legal. Over one million Iraqi deaths, four or five million refugees, uncounted injuries and vast destruction cannot be ignored. The involvement of as many countries as possible in this illegal invasion by Messrs Bush and Blair is an old trick. You might have read that in Athens around 400 BC when Socrates was on trial, [[http://www.gutenberg.org/files/1656/1656-h/1656-h.htm]] he said: But when the oligarchy of the Thirty was in power, they sent for me and four others into the rotunda, and bade us bring Leon the Salaminian from Salamis, as they wanted to put him to death. This was a specimen of the sort of commands which they were always giving with the view of implicating as many as possible in their crimes.” The other four fetched Leon while Socrates went home and would have been executed for it if the government of the ‘thirty tyrants’ had not been overthrown. This did not help him at his trial. Nor did it help him that on another occasion he was the only one of the Assembly’s executive to oppose an illegal action by the assembly. Probably from their own guilt, those who colluded with the tyrants or on the other illegal action, condemned him to death. 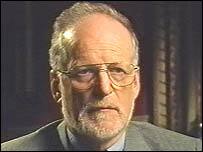 Let us not forget in this context Dr David Kelly, the weapons expert who spoke the truth and was hounded to suicide by the Blair government. This is typical behaviour by those determined to do wrong and justify it. There was never any doubt that this war was wrong in principle. Its perpetrators therefore use weasel words about “legality”, using legality as a trick to make what is inexpressibly, disgustingly wrong into right. The war was also provably illegal as well. Challenges to its legality will never go away for this reason and because it has such far-reaching implications. The Liberal Democrats have called for a public enquiry. The problem is that a public enquiry in this country cannot possibly be credible because the greater part of our entire political class approved the war. The question can only be resolved by a completely neutral authority. The appropriate authority is the International Court of Justice which this country recognizes. 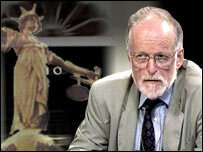 As the secretary-general of the United Nations and former Lord Chief Justice Bingham have said that Lord Goldsmith’s ruling is wrong, our armed forces that his ruling has placed in a situation of physical, moral and legal hazard are justified in demanding a ruling by an impartial, international body. There is overwhelming evidence that the ruling given by Lord Goldsmith led Admiral Sir Michael Boyce into error and improperly led our armed forces into taking a large number of casualties. Many persons, particularly those who have a beneficial interest in, or voted for the war, will oppose such an impartial enquiry and we can expect all the self-interested excuses about national interest, morale of the army, security, protection of individuals etc. To use the government’s argument when prying into our privacy, if nothing wrong has been done, there is nothing to worry about. An enquiry by the International Court of Justice is the only way in which the UK can regain international respect and in which our government and politicians can regain the trust of its army and citizens. It is the only moral path to follow. Christopher King is a retired consultant and lecturer in management and marketing. He lives in London, UK. Copyright © 2000-2008 Redress Information & Analysis. More than five years after the event, how much does it matter that a retired law lord now believes the government's legal advice on the invasion of Iraq was unlawful? From one perspective the answer is: not very much. Seen from 2008, after all, the Iraq war is history. With the Iraqi government's backing this week, the troops will soon be on the way out. Chastened by the whole experience, no western leader is likely to go down the Bush-Blair route any time soon. Like it or not, the original advice was sincerely offered and sincerely acted on. And Lord Bingham is in any case no longer a lord of appeal. In short, his Grotius lecture this week may be a powerful piece of legal reasoning. But it is a footnote to a decision that cannot now be reversed. Some of this scepticism is well-founded. But not all of it. In the first place, Lord Bingham is not just any old lawyer. He is the most senior judge of the modern era. He is regarded by many as its finest legal mind. Though Lord Bingham only retired a few weeks ago, he has been at the pinnacle of English law-making for a decade and a half and has clearly been pondering the war's legality for years. It may raise some eyebrows that he should be so quick to engage on this supremely divisive issue so soon after leaving the bench - but if the issue is so important, why not? The simple fact is that, when Lord Bingham speaks on the law, it is always a good idea to listen. Just because it is now more than five years since the attorney general, Lord Goldsmith, advised that an invasion would be lawful, it does not follow that his advice or the decision are less controversial or momentous now than they were in 2003. It is hard to think of a more serious decision than one to go to war. Particularly in circumstances other than national self-defence, it is essential to know what is lawful and what is not. In a world increasingly and rightly regulated by international law, all nations need to be clear about the lawfulness of war and the obligation to obey that law. Lord Bingham's conclusion that the Iraq invasion was "a serious violation of international law and the rule of law" - which ministers are required to uphold - has already been vigorously challenged by Lord Goldsmith and Jack Straw. Yet this is such a serious subject, with such immense implications for Britain's standing, that the argument cannot be allowed to rest there. When such senior figures of the legal establishment are at odds in this way, it enhances the case for a full public inquiry into the lessons of the Iraq war. That inquiry should have been established long ago. But when someone of Lord Bingham's stature says the war was unlawful, the case for such a scrutiny, already compelling, becomes irresistible. Governments were bound by international law as much as by their domestic laws, he said. "The current ministerial code," he added "binding on British ministers, requires them as an overarching duty to 'comply with the law, including international law and treaty obligations'." The Conservatives and Liberal Democrats continue to press for an independent inquiry into the circumstances around the invasion. The government says an inquiry would be harmful while British troops are in Iraq. Ministers say most of the remaining 4,000 will leave by mid-2009. "For the effect of acting unilaterally was to undermine the foundation on which the post-1945 consensus had been constructed: the prohibition of force (save in self-defence, or perhaps, to avert an impending humanitarian catastrophe) unless formally authorised by the nations of the world empowered to make collective decisions in the security council ..."
The moment a state treated the rules of international law as binding on others but not on itself, the compact on which the law rested was broken, Bingham argued. Quoting a comment made by a leading academic lawyer, he added: "It is, as has been said, 'the difference between the role of world policeman and world vigilante'." Bingham said he had very recently provided an advance copy of his speech to Goldsmith and to Jack Straw, foreign secretary at the time of the invasion of Iraq. He told his audience he should make it plain they challenged his conclusions. Both men emphasised that point last night by intervening to defend their views as consistent with those held at the time of the invasion. 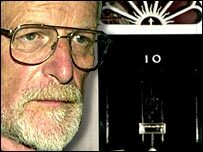 Goldsmith said in a statement: "I stand by my advice of March 2003 that it was legal for Britain to take military action in Iraq. I would not have given that advice if it were not genuinely my view. 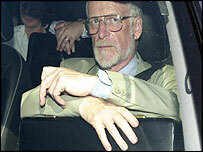 Lord Bingham is entitled to his own legal perspective five years after the event." Goldsmith defended what is known as the "revival argument" - namely that Saddam Hussein had failed to comply with previous UN resolutions which could now take effect. Goldsmith added that Tony Blair had told him it was his "unequivocal view" that Iraq was in breach of its UN obligations to give up weapons of mass destruction. Straw said last night that he shared Goldsmith's view. He continued: "However controversial the view that military action was justified in international law it was our attorney general's view that it was lawful and that view was widely shared across the world." 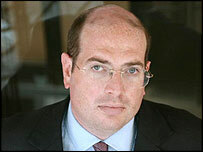 Bingham also criticised the post-invasion record of Britain as "an occupying power in Iraq". It is "sullied by a number of incidents, most notably the shameful beating to death of Mr Baha Mousa [a hotel receptionist] in Basra [in 2003]", he said. Such breaches of the law, however, were not the result of deliberate government policy and the rights of victims had been recognised, Bingham observed. He contrasted that with the "unilateral decisions of the US government" on issues such as the detention conditions in Guantánamo Bay, Cuba.